Legal Defense Fund - Lawsuit Brought by SPCA of CT by Furry Friends Foster and Rescue, Inc.
Furry Friends Foster and Rescue, Inc. hasn't added a story. In 2012, shortly before they were shut down, one of the dogs in the care of SPCA of CT was adopted to a person with whom our rescue has no connection. Several months ago, we pulled a dog from a local CT pound. Subsequently we were contacted by a representative of the now reorganized SPCA of CT. After they reopened evidently they set about tracking down the dogs who had previously been in their care, and they tracked this particular dog to our rescue. Due to their history, which is well known, we stated that we were unwilling to relinquish ownership of the dog back to them. We then were served with a summons, indicating that we were part of a lawsuit that SPCA of CT is bringing against several parties in relation of this dog. We have consulted a lawyer, and need to retain legal counsel. We have a verbal estimate of approximately $1,000 that will be needed, with legal fees being discounted because of our non-profit status. We are asking for a written estimate from the attorney, and will post it to this fundraiser as soon as we receive it. In the meantime, though, we need to move forward with this and are asking for your help. As an approved 501c3 rescue, virtually all of our funds go to care for our animals. Also as an approved non-profit with the IRS, any and all donations are tax deductible. We will appreciate any and all assistance. If everyone gives a little, it will add up to the amount that we will need for legal defense. Thanks to everyone for your continued support of our organization. We could not do what we do without each and every one of you. It always takes a village! Furry Friends Foster and Rescue, Inc. hasn't posted any updates yet. Furry Friends Foster and Rescue, Inc. is managing the funds for this campaign. 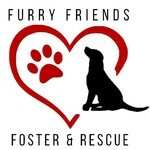 Furry Friends Foster and Rescue, Inc. is a verified organization.